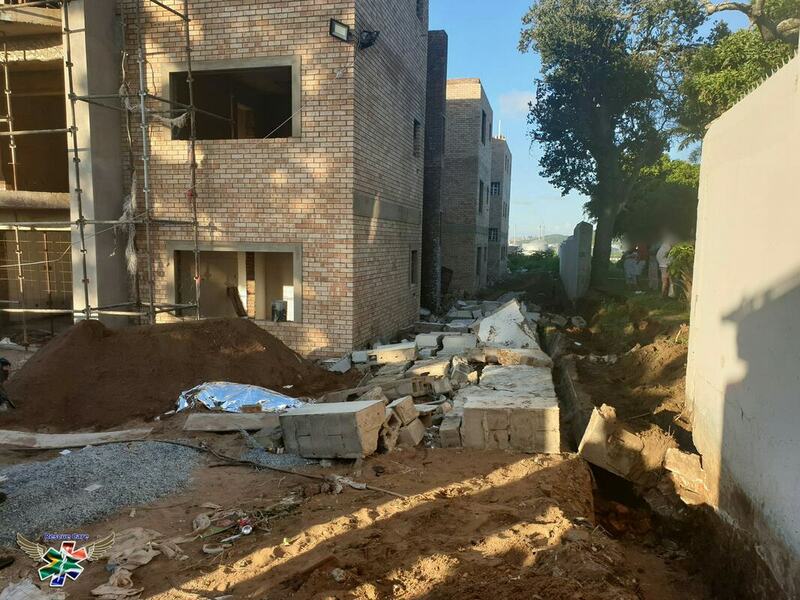 Three men have been killed at a construction site where a wall collapsed onto them crushing them on 1st Avenue Isipingo Beach south of Durban, KwaZulu-Natal, on Monday afternoon, 18 February 2019. Rescue Care Paramedics arrived on the scene around 17h00 to find eThekwini Fire and Rescue Services in attendance. Four men had been working on the construction site when the wall collapsed onto them. Three men believed to be approximately 30 years old had sustained major injuries and there was nothing more paramedics could do for them and they were declared deceased on the scene. One man had sustained critical injuries and was stabilised on the scene before being rushed to a nearby hospital for the further care that they required. Justin Bateman, division commander for eThekwini Fire and Rescue Services, says a rescue crew from the Prospecton Fire Station was on the scene barely five minutes after receiving the call, thanks to their close proximity to the scene. They established that specialised equipment would not be required, as the wall had shattered and the loose bricks could be moved by hand. One patient was treated for critical injuries and was stabilised on the scene before being taken to a nearby hospital, while another was treated on the scene but refused to be taken to hospital, according to KZN EMS spokesperson Robert McKenzie.